The world building and population are mind-blowing. This author has a real knack for creating new races, and even factions within each race. And instead of any one people being clearly defined as the good guys, she portrays the Sualwet and Erdlanders as two different groups of individuals struggling against one another, both fighting for survival. There’s more I’m leaving out so I don’t spoil anything, but the creation of the characters alone is impressive. This isn’t your typical dystopian sci-fi., content to weave its political message into its prose. Pavarti reached well beyond that particular cliche and came out with a rewarding story of destruction, hope, malice, and love. 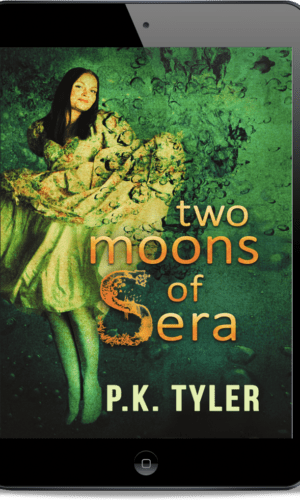 This is the second book I’ve read by her, and I’ll definitely be reading more from her in the future. 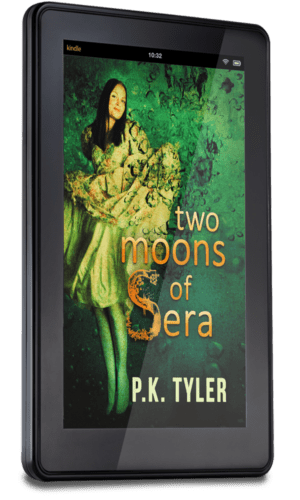 The only reason I gave this book four stars instead of five is because of some formatting issues, an overlapping passage in the beginning for example. 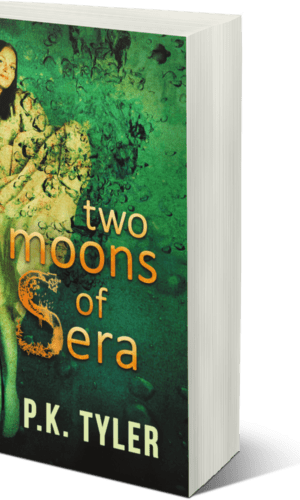 There weren’t enough to make reading frustrating, though, so I’m still giving Two Moons of Sera four stars.